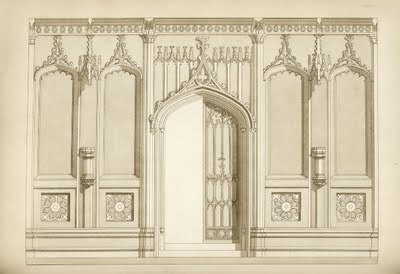 This is a fabulous early drawing of a gothic room, showing the details of the wall and door! This would be so lovely used on the walls of a dollhouse, or just fun as the background for any collage project! Great for Christmas too! I’m playing along again today with Hooked on Friday’s over at Hooked on Houses, as well as Beautiful Life Fridays at The Inspired Room. 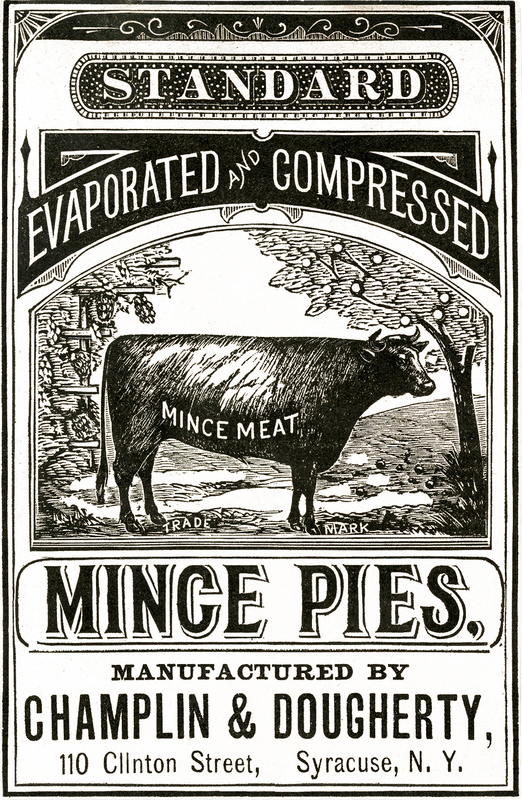 Lovely graphic, I know I will use this in one of my creations….. I used to have images like that, colored and framed. They are graphically so lovely. And even tho they are stylistically very definite – I think they fit into a lot of decors. What a wonderful image. I love all of the intricate details. MORE MORE MORE! love the architectual things. I too love Gothic Architecture. 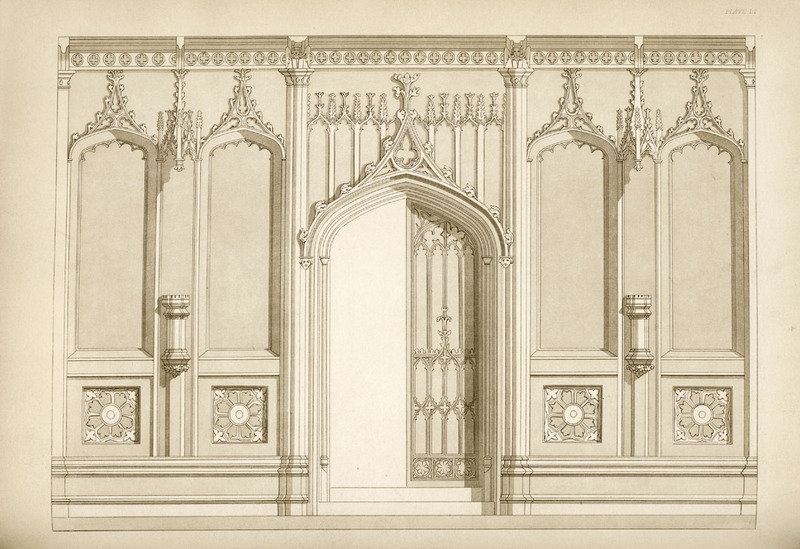 We’re in the process of drawing plans for our lake house, and there are a lot of Gothic elements. This picture is divine! I’m hosting a giveaway at my blog of genuine Cross Bottles valued at $175. It ends Monday, so hurry over. I think you’ll love them! Thank you, I love architectural images!